IF GOING GETS TOUGH, WILL FOREIGN GET TO GO? Perfunctory announcements by Grzegorz Tobiszowski and others involved in establishing Polska Grupa Górnicza about potential investors may suggest, that there are not so many entities interested in helping KW’s mines. As far as State-owned companies may be impelled to come to the rescue, domestic private firms would not be so willing. Is there a field for foreign companies in this game? Today (Feb 8) Tobiszowski announced again, that there are some ongoing negotiations with s potential investors and that none of them will in the end have the dominant position in the PGG structure. Węglokoks is still the only company that for sure will have its part in this cake (at the moment Węglokoks Group owns the PGG trademark), but TF Silesia (which according to the original plan was supposed to be the foundation of NKW/PGG) was pushed aside, as “it is not able to play a significant part in the coal mining industry, since it was never involved in this sector” – Tobiszowski said. Is there any chance that Ministry of Energy and Kompania Węglowa will seek for investors outside Poland and are there any entities which could be interested in such investments? A week ago Piotr Kosowicz, Executive Director of Balamara Resources said, that his company is still interested in taking over Makoszowy mine, which is dying on the vine in Mines Restructuring Company (SRK) since spring last year. Kosowicz stated, that Balamara would keep the employment and payments at the current levels. In September Australians made an offer and later met with labor unions, but nothing came out of these attempts, as unions are sticking to their guns (or pickaxes) on being moved to PGE. No luck in finding investor is caused also by the informal collusion by European banks on not financing the coal-related investments. As far as European institutions are reluctant to put any money in them, the Chinese might be the ones who will fulfill the gap. For quite some time now Czech EPH (tied with energy conglomerate CEFC, one of the largest companies in China) is buying up European fossil fuels power plants and seeks for further acquisitions (both steam coal and lignite). EPH is also the company that owns PG Silesia, a mine that is presented in Poland as a role model of restructured facility (although in its 5 years of “new life” history it still did not made any profits; lets wait for the financial statement for 2015). 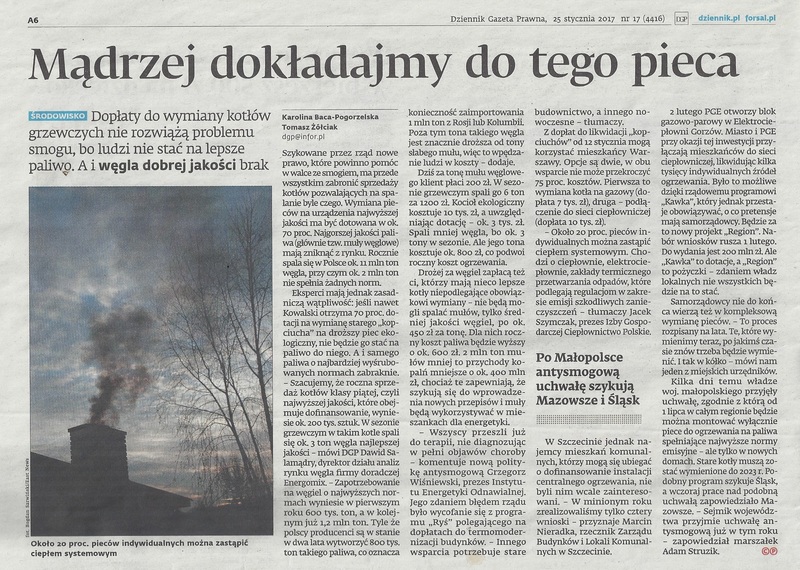 If they are interested in investing in Polish coal sector, is it possible that Balamara and EPH will be involved in PGG project? Not likely. Lets be honest: non of the private companies will be willing to put money on the table if they are hearing from ME, that they will have no say in PGG anyway. Also, Balamara follows the same modus operandi used by EPH 5 years ago: waiting until the mine is tagged “unprofitable” and moved for liquidation, so it can be brought back to life from SRK with less effort. The plan for PGG envisages giving all the KW mines a fresh start, with a deadline for internal restructure of each facility till the end of 2016. If by that time some of them will still be economically inviable, they will be moved to SRK for liquidation and that most probably will be the moment, when other private owned companies will start bottom fishing. PIOTR KOSOWICZ AND DEREK LENARTOWICZ FROM BALAMARA RESOURCES LTD ARE CONFIRMED SPEAKERS AT 4TH COALTRANS POLAND (10-11 MAY, KRAKÓW).